Eat salmon or other omega-3-rich fish at least two to three times per week. Omega-3 fatty acids are important for heart health. Salmon, halibut, and mackerel are good sources of omega-3 fatty acids. While it’s theoretically possible to get all the omega-3s you need from fish, in practice, this rarely happens. A quality supplement like OmegaGuard® can help close this gap. One of the best weapons for keeping your heart healthy is an antioxidant-rich diet. To get those antioxidants, try eating at least five to seven servings of fruits and veggies every day. Try adding at least three brightly colored foods to your plate at each meal. Lose weight —for your waistline and your heart! Excess weight, especially fat around your tummy (abdominal fat), has been linked to poor heart health. 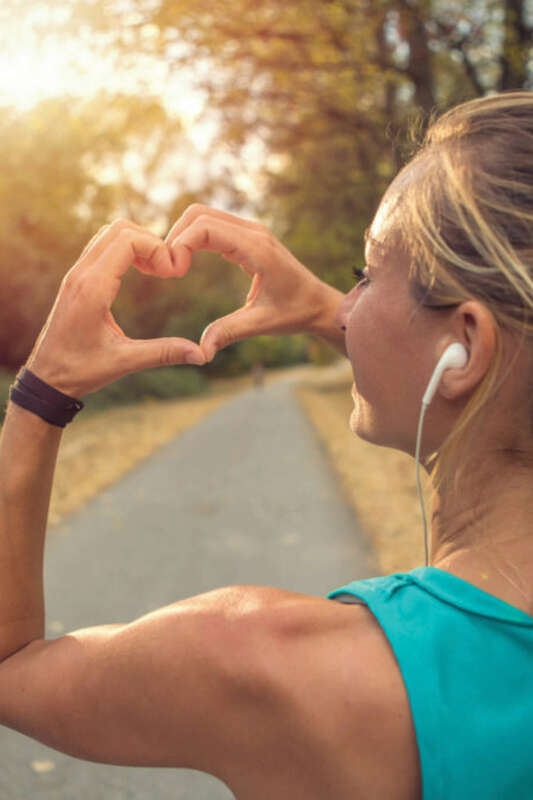 Losing just 5–10% of your body weight can make a big difference—and many studies have shown you can also significantly lower your risk of heart problems by losing inches around your middle. Consider taking a CoQ10 supplement. Coenzyme Q10 (CoQ10) is a vitamin-like substance vital for energy production, especially in your heart. The body makes its own CoQ10, but factors such as aging, poor diet, and exposure to pollution and other chemicals may increase your need for this nutrient. If you are using a statin drug, be sure to talk to your physician about taking a CoQ10 supplement. A good option is CoQHeart® with Q-Trol®. Limiting sun exposure increases your risk of having lower levels of the Vitamin D your heart and bones need. Recent research confirms that a majority of Americans may have suboptimal levels of Vitamin D—don’t be one of them! Look for a multivitamin that contains at least 800-1,000 IU Vitamin D. Research confirms that many folks may need even more than 1,000 IUs, especially if you are overweight, older than 60, spend a lot of time indoors, or are darker-skinned. Move more—at least two and a half hours every week. Regular physical activity promotes a healthy heart. So, get out there and MOVE! The Centers for Disease Control and Prevention suggests that you should exercise at least two and a half hours every week. You don’t have to do it all at once, 10-15 minutes at a time works just as well. Walk the dog or play basketball with your kids. Try yoga or Pilates. If you’re going to the gym, be sure to get at least 30 minutes of cardio on a stationary bike or elliptical machine and 15-30 minutes of weight training. If you smoke, get help to stop—starting today! Cigarette smoking is strongly linked to heart and blood-vessel damage. Find a short-term reason to stop—saving money or having better-smelling breath, perhaps? We know smoking ages your skin—and you certainly don’t want any extra wrinkles, right? Get your regular health screenings. If you are over 40, it is recommended that you have a physical exam every two years; if you are over 50, you should have one annually. Make your appointment today! Over time, chronic stress wreaks havoc on our bodies—slowing digestion, weakening immune function—and is bad for the heart. There are many ways to reduce stress, including exercise, meditation, getting away from computers and cell phones, and just simply laughing more. Your heart health depends a lot on the choices you make every day. There is much that is within YOUR control! Here’s to your healthier heart! For more healthy lifestyle tips, click here. †Products providing 400 mg of plant sterols and stanols, consumed twice a day with meals for a daily total intake of at least 800 mg, as part of a diet low in saturated fat and cholesterol, may reduce the risk of heart disease. Cholesterol Reduction Complex provides 1,000 mg of plant sterols and stanols per serving, and 2,000 mg daily when used as directed. Learn more about Shaklee SmartHeart products! Previous Previous post: RLEI February 2018 ROLL CALL! Next Next post: BRENDON BURCHARD – 2018 Shaklee Global Conference Keynote Speaker!